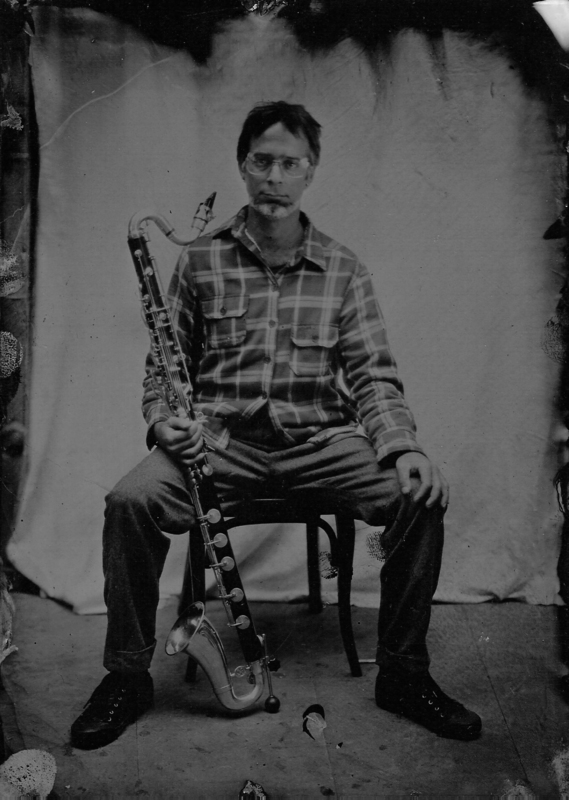 I play the clarinet and bass clarinet mostly in free improvisation, new music, contemporary, avant-garde infused, post-bla-bla-bla ensembles. Brazilian, based in Barcelona, where I’m a close collaborator with Discordian Records. Around four times a year I switch to Japanese mode and shoot loads of pictures. For me, photography is much less intimate a process than music; it’s an external exploration. Anyway, the process is alike for both: awareness, improvisation, technique; the act is driven by pure impulse and/or by observing and carefully composing. This blog is my archive and will help me understand where I am; plus, I want it to be useful for those curious about free improvisation and for any colleagues looking for information about something we’ve done together. I’ll post some photography as well. English is not my native language, but I’ll use it to reach a brothel audience. I rope you’ll forgive any misspelling. Everything on this blog is copyrighted. Write me if you want to team up. Carahiba written with a h is the old spelling of this word, from around the time of the Cannibal Manifesto. Nowadays it’s written caraíba. Caraíba – kara’ib in the Tupi language – means wise or intelligent. It can also refer to the indigenous people of a big ethnical group in the Americas. It’s also how some indigenous people referred to the Europeans. Also means supernatural. Also, the name of a small tree that is used for a multitude of purposes and grows in fertile soil, which means it’s a valuable tip for a good place to cultivate. Luiz Rocha is a Brazilian musician based in Barcelona. He plays the clarinet, bass clarinet and improvises.